Neymar and his Brazilian counterparts tried every trick in the book in Fortaleza today, but Group A opponents Mexico held firm at the back, as well as coming close at the other end at times. The scoreline does not paint the picture of the exciting game played out here, the men between the sticks were just so good that nothing could get past them. Brazil looked much more convincing in possession than against Croatia, having received a kick-up-the-jacksy by their head coach, Luis Felipe Scolari, and had all the big chances of the first half. 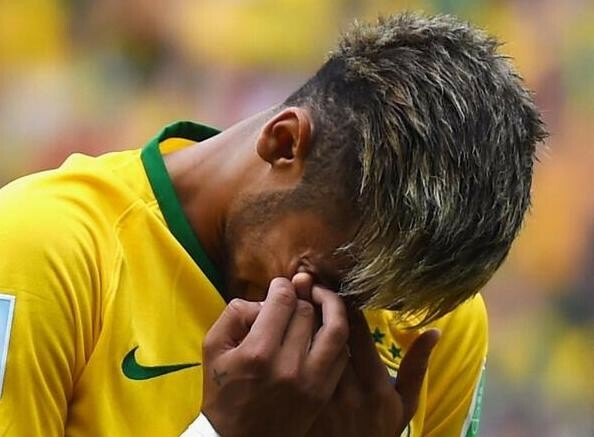 Neymar thought he had given the boys in yellow the lead in the 26th minute, rising high to win the header and directing it away from the Mexican goalkeeper. Guillermo Ochoa had other plans though, pouncing quickly and extending a hand to deny the Brazilian prodigy, producing an excellent save right on the goal-line. Oscar had a half chance shortly afterwards, not too dissimilar to his goal against Croatia, but this goalie was not going to be beaten so weakly. Paulinho also met with the tenacious dedication of Ochoa when Thiago Silva chested be ball into the box for Brazil to attack. The Spurs man attempted to chip over the goalie but he was too sharp once again. Mexico turned the tides in the second half, with wave after wave of pressure applied on the home side, but failed to convert any of their chances. Brazil came back into the reckoning but remained unable to better Ochoa. Neymar crossed for captain Thiago Silva with 2 minutes left of normal time, but his powerful header was kept out by the remarkable shot stopping talents of the Mexican keeper. Not to be completely outdone by his opposite number, Brazil’s keeper, Julio Cesar, produced two excellent saves in the last 5 minutes, including a full stretch fingertips save from Jiminez’s drilled strike. 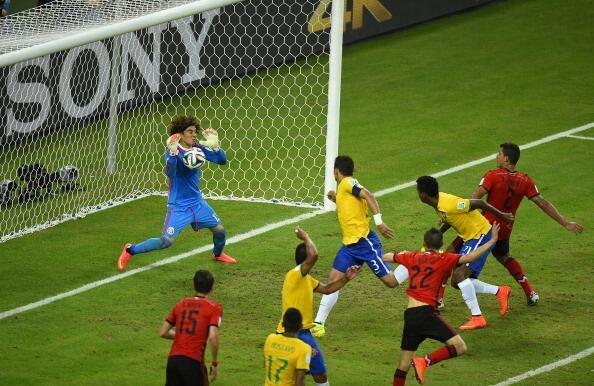 Guillermo Ochoa and Julio Cesar, both of you can take a bow. On another day, or with other keepers, this could easily have been a very high scoreline. This group is wide open now, with the home nation facing Cameroon in the final game and Mexico up against the tough Europeans, Croatia. Will Brazil still be able to top the table?